My daughter loves to have separate boxes for all her knickknacks. Decorated and colored supply boxes can get expensive, and with the new school year on the way, I wanted to find a way for my daughter to have a slew of personalized supply boxes without spending beaucoup bucks on them. 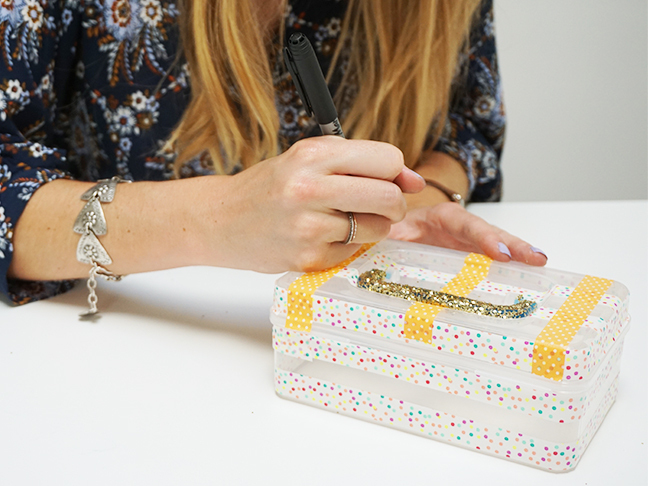 Personalized supply boxes are easy and fun with a few key supplies. 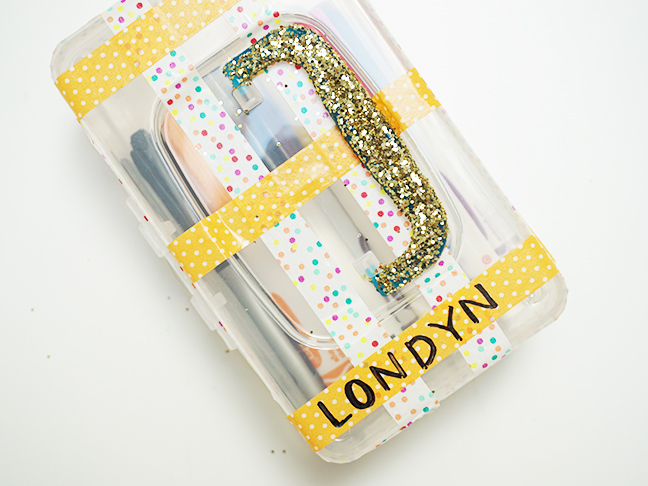 Washi tape and gold glitter make a blah box fabulous. 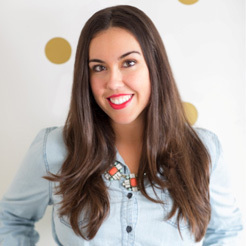 Even better, washi tape is easily removable, so once the school year is over (or whenever my daughter gets tired of her original design), she can easily peel the tape off and start over with a fresh design. Adding my daughter’s name ensures that if the box gets misplaced, it’ll get back in the right hands. Have fun and get creative with this one. 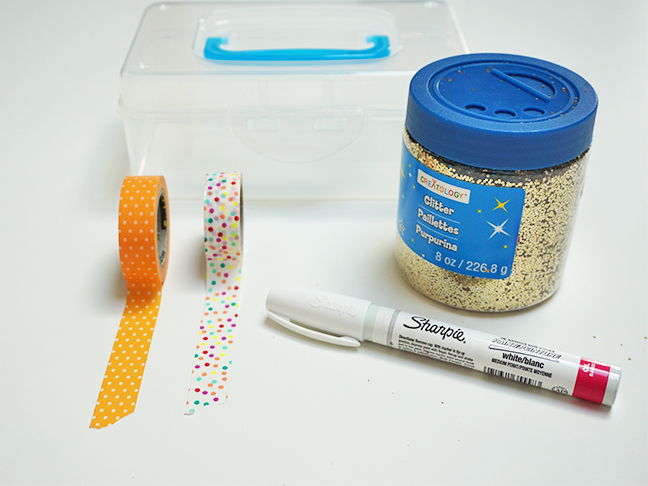 Use stickers, glitter, tape, and pens galore. 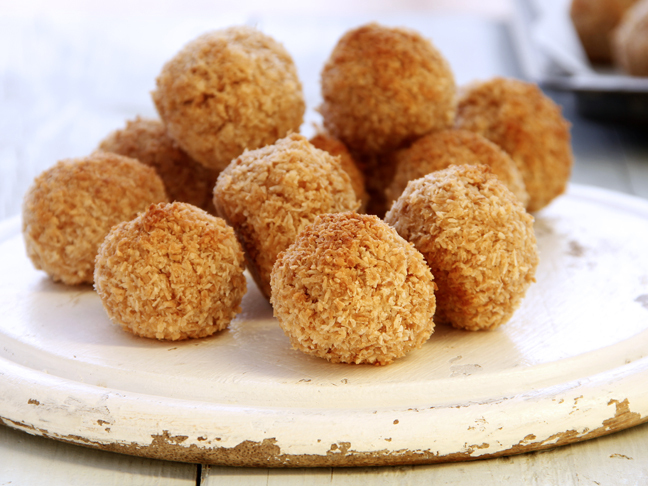 There are endless possibilities! Step 1: Brush glue onto the handle. 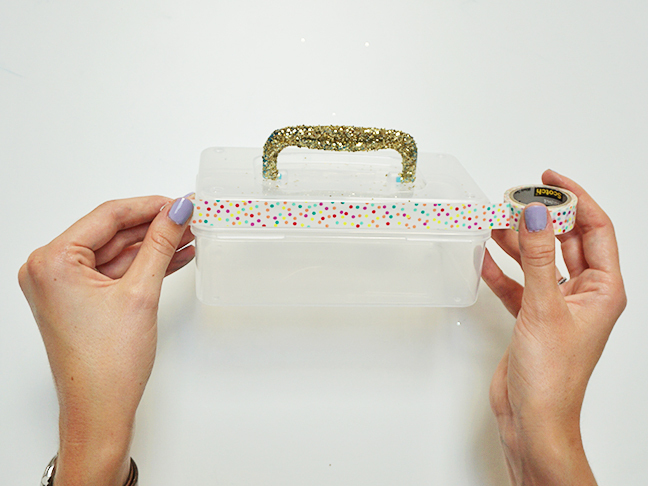 Step 2: Sprinkle your glitter onto the handle. 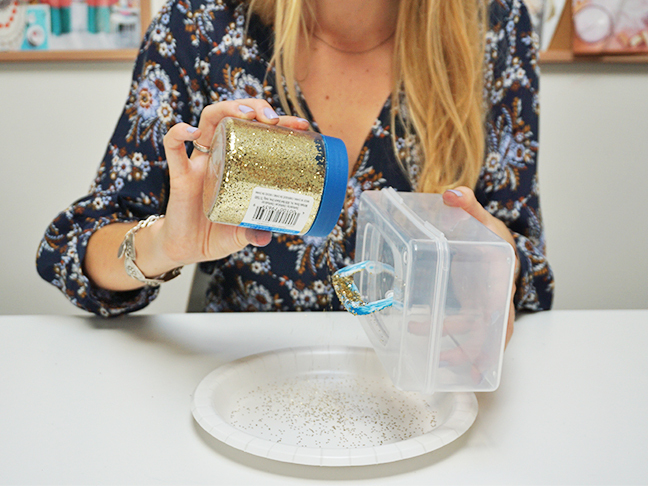 Put a plate under to catch any excess glitter. Step 3: Once the handle is fairly dry, it’s time to make a pattern with washi tape. My daughter requested stripes! Step 4: Once you’re happy with your pattern, it’s time to personalize it! Here is the final look of my daughter’s supply box. She loves it! It’s bright, sparkly, and fun.